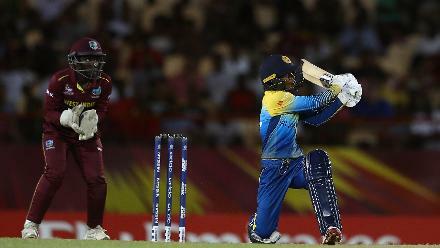 Hasini Perera of Sri Lanka looks on after being bowled by Shakera Selman of Windies during the ICC Women's World T20 2018 match between Windies and Sri Lanka at Darren Sammy Cricket Ground on November 16, 2018 in Gros Islet, Saint Lucia. 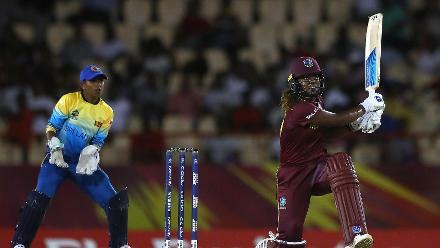 Shakera Selman of Windies celebrates bowling Hasini Perera of Sri Lanka during the ICC Women's World T20 2018 match between Windies and Sri Lanka at Darren Sammy Cricket Ground on November 16, 2018 in Gros Islet, Saint Lucia. 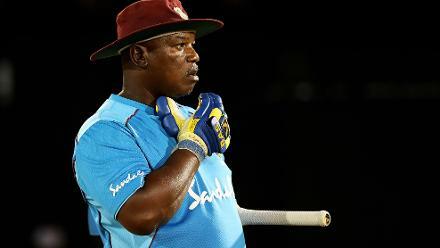 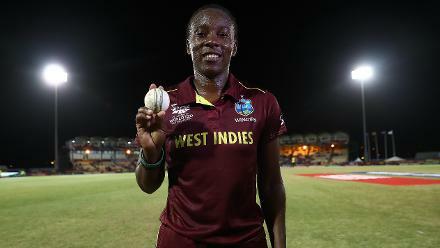 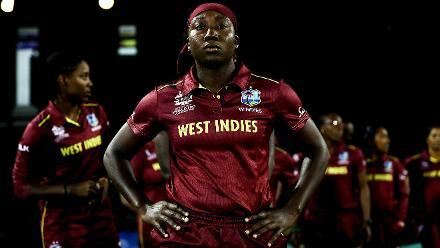 Shakera Selman of Windies pictured after bowling the 'One Millionth ball in Womens cricket' during the ICC Women's World T20 2018 match between Windies and Sri Lanka at Darren Sammy Cricket Ground on November 16, 2018 in Gros Islet, Saint Lucia. 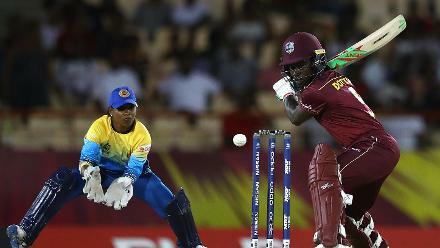 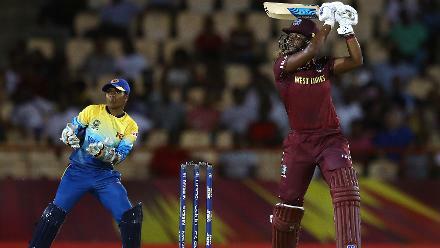 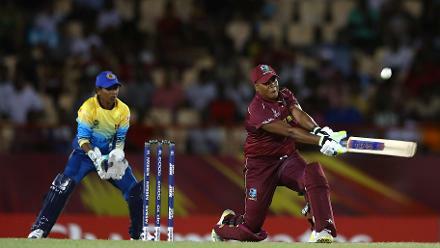 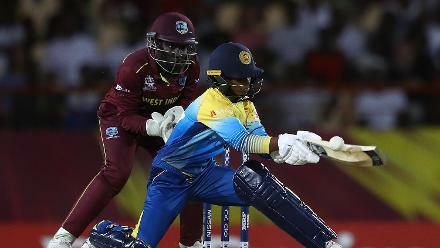 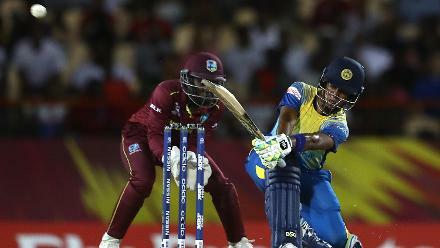 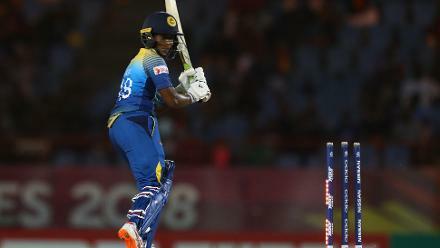 Nilakshi de Silva of Sri Lanka hits the ball towards the boundary, as Kycia Knight of Windies looks on during the ICC Women's World T20 2018 match between Windies and Sri Lanka at Darren Sammy Cricket Ground on November 16, 2018. 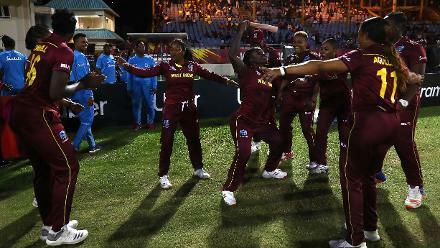 Windies players celebrate their win over Sri Lanka during the ICC Women's World T20 2018 match between Windies and Sri Lanka at Darren Sammy Cricket Ground on November 16, 2018 in Gros Islet, Saint Lucia. 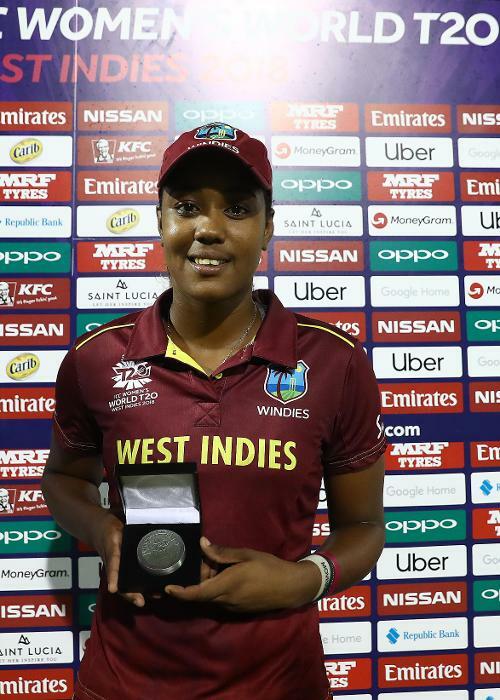 Hayley Matthews of Windies pictured with the 'Player of the Match award' after the ICC Women's World T20 2018 match between Windies and Sri Lanka at Darren Sammy Cricket Ground on November 16, 2018 in Gros Islet, Saint Lucia. 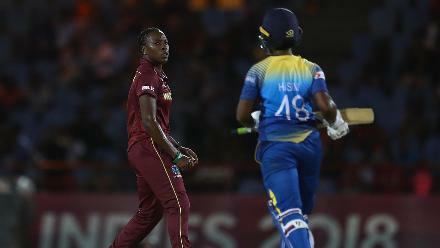 Deandra Dottin of Windies is congratulated on bowling Eshani Lokusuriyage of Sri Lanka during the ICC Women's World T20 2018 match between Windies and Sri Lanka at Darren Sammy Cricket Ground on November 16, 2018 in Gros Islet, Saint Lucia. 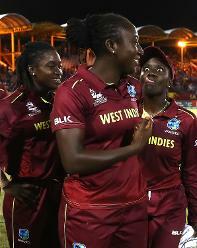 Stafanie Taylor and Kycia Knight of Windies celebrate their teams win over Sri Lanka during the ICC Women's World T20 2018 match between Windies and Sri Lanka at Darren Sammy Cricket Ground on November 16, 2018 in Gros Islet, Saint Lucia. 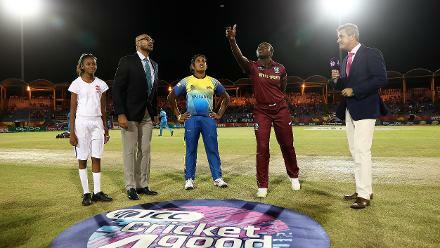 Windies line up against Sri Lanka during the ICC Women's World T20 2018 match between Windies and Sri Lanka at Darren Sammy Cricket Ground on November 16, 2018 in Gros Islet, Saint Lucia. 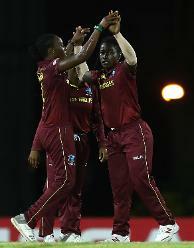 Kycia Knight of Windies and Hayley Matthews of Windies celebrate the wicket of Oshadi Ranasinghe of Sri Lanka during the ICC Women's World T20 2018 match between Windies and Sri Lanka at Darren Sammy Cricket Ground on November 16, 2018. 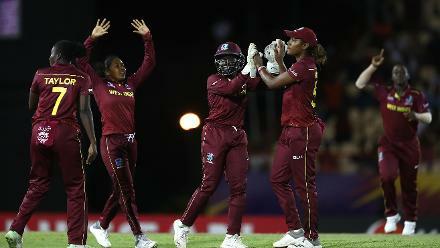 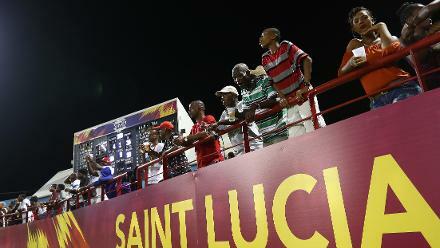 Fans look on during the ICC Women's World T20 2018 match between Windies and Sri Lanka at Darren Sammy Cricket Ground on November 16, 2018 in Gros Islet, Saint Lucia. 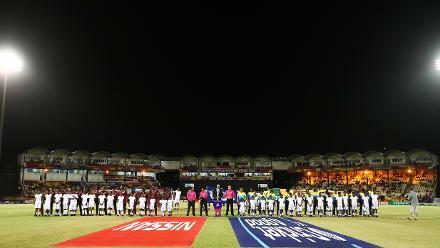 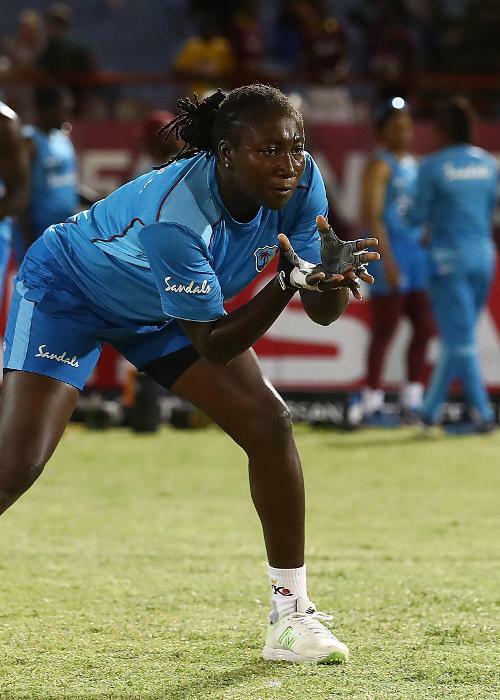 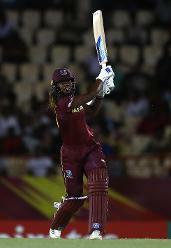 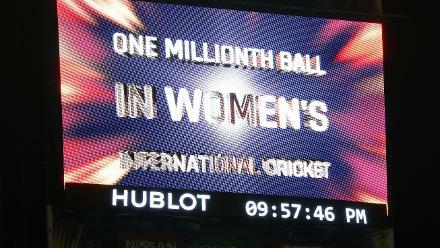 The big screen shows that the 'One Millionth ball in Womens cricket' is bowled by Shakera Selman of Windies during the ICC Women's World T20 2018 match between West Indies and Sri Lanka at Darren Sammy Cricket Ground on November 16, 2018.